The family purchased their property in Niwot in 1990 and started building their log house in 1991. Jerry and Marsha are members of the Niwot Community Association. In 2004, Marsha and Jerry became co-organizational leaders of the Niwot Nifties 4-H Club. The Niwot 4-H club was started in 1924. Niwot 4-H has had some lean years, but the Slepicka family has developed it into a strong and recognized club in Boulder County. Jerry and Marsha have volunteered with the Boulder County 4-H program and the Boulder County Fair since 1990 although they both attended the Fair when we were kids growing up in Boulder. Through 4-H they are leaders of the Boulder County Fair and the Fair Board and identified as the folks from Niwot. Their children have been active in Niwot Nifties 4-H, school clubs, athletics, honor society and learned to volunteer and give back to the community at an early age. The sons ran an egg business for years and Jessie has volunteered at the Niwot Clean Up Day the past three years. Jessie won ribbons in baking at the Fair and also volunteered and baked cookies with the Niwot Cookie Moms who mail cookies to US Troops overseas. 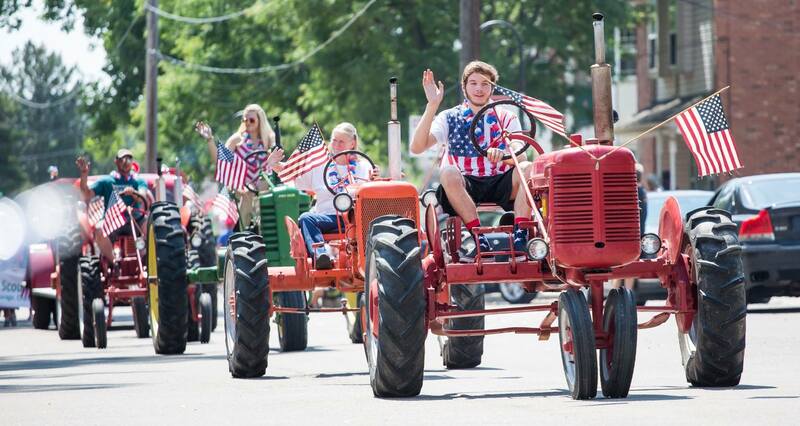 The family and/or 4-H Club participate in the 4th of July parade and NHS Homecoming parade almost every year. For the Nostalgia Day they would be in the parade and then hustled to participate with a popcorn booth and tattoo or face painting booth for several years. They donate tattoos for the 4th of July breakfast time and then provide the wagon for the football players to ride in the parade. For the Niwot Holiday parade they handed out Niwot Nifties 4-H made popcorn balls and did face painting on children. For the annual Easter Egg Hunt they dye the eggs and have dressed in the rabbit costume for the children’s enjoyment. At Niwot High School they have volunteered as Orchestra parents, Color Guard parents, Football parents and Wrestling parents. 2015 4th of July they all drove tractors in the parade and then took them to Whistle Stop Park so children could climb on them and adults could admire the vehicles. Their tractor collection ranges in age from 1917 to 1948. When there is a community event in Niwot you will probably find a couple or the whole family volunteering and participating.